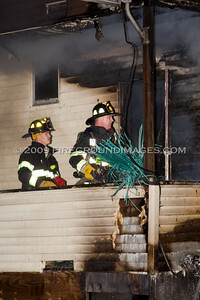 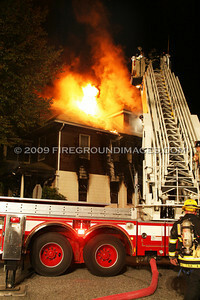 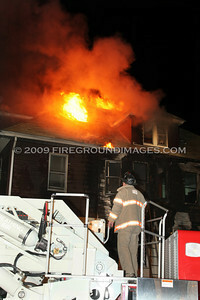 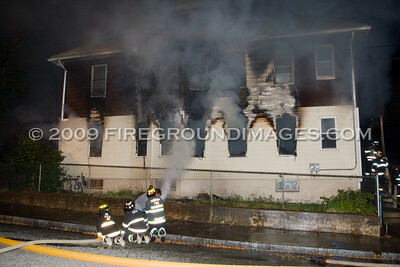 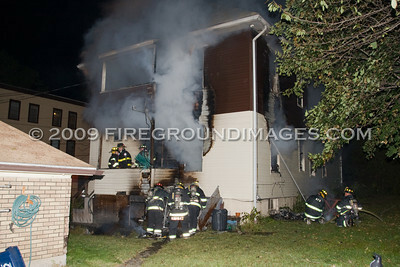 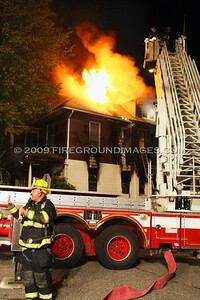 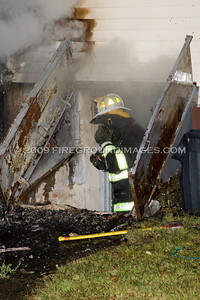 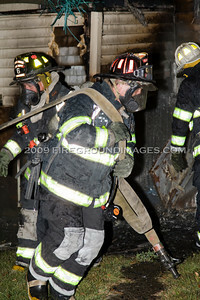 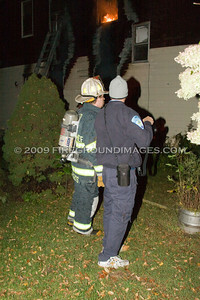 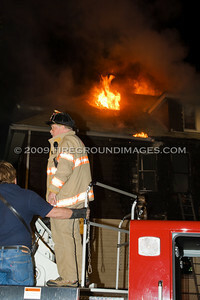 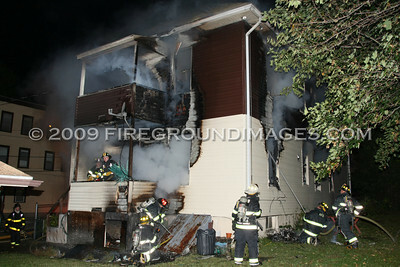 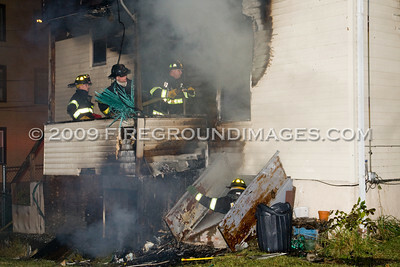 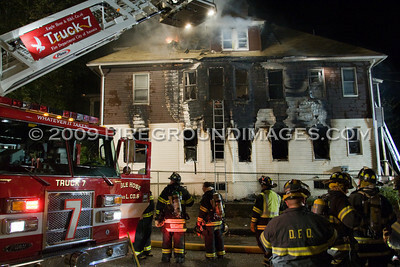 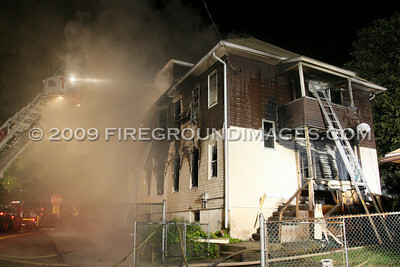 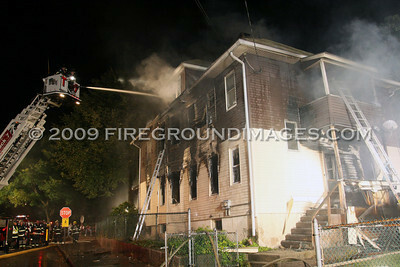 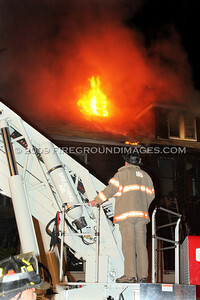 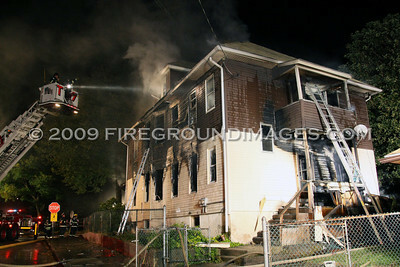 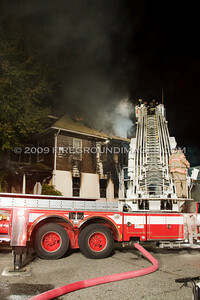 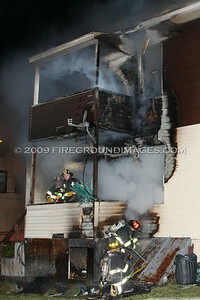 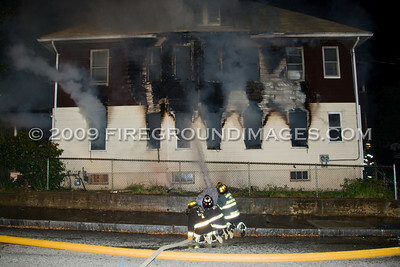 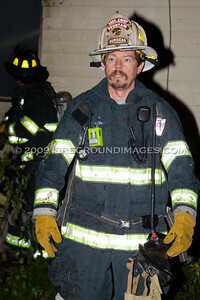 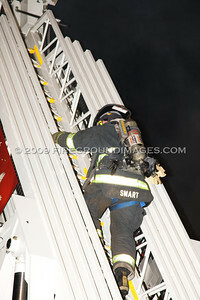 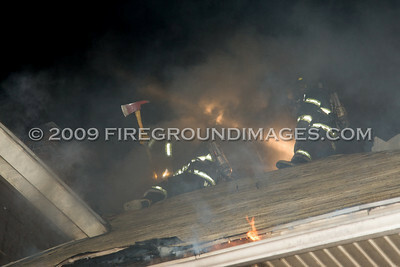 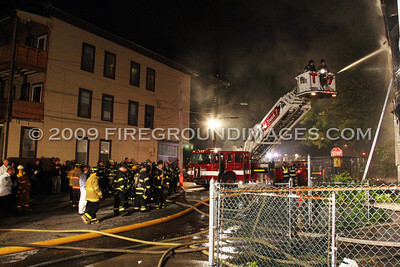 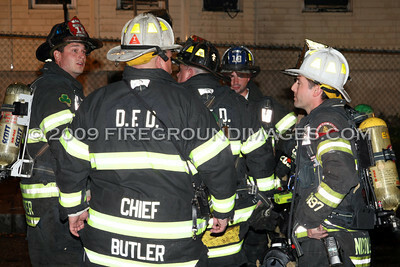 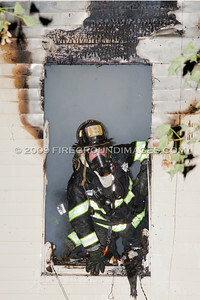 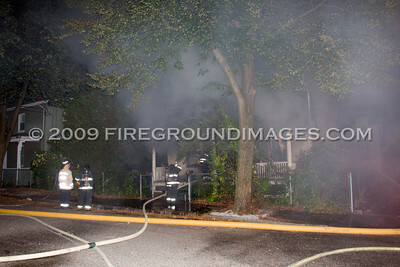 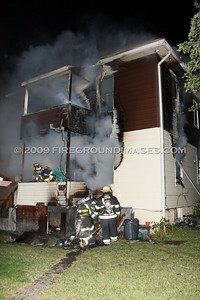 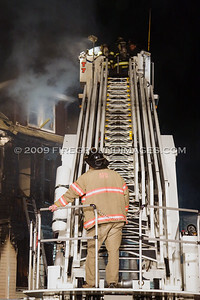 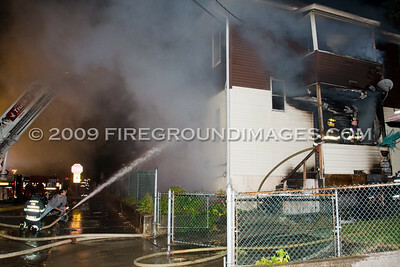 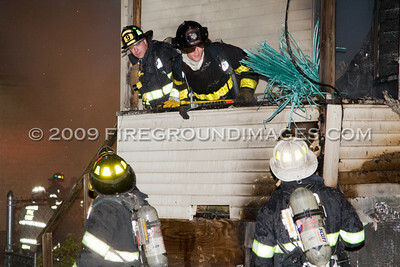 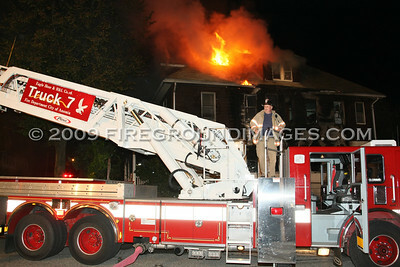 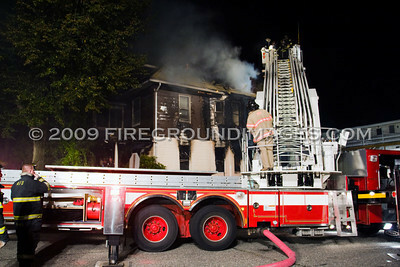 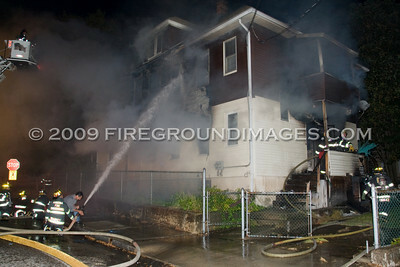 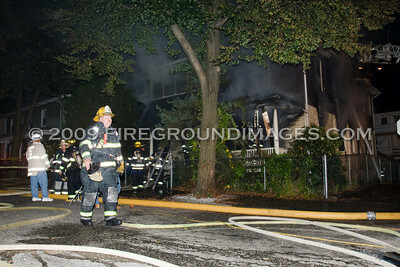 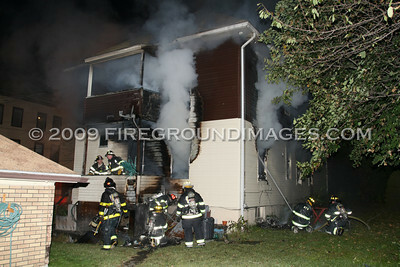 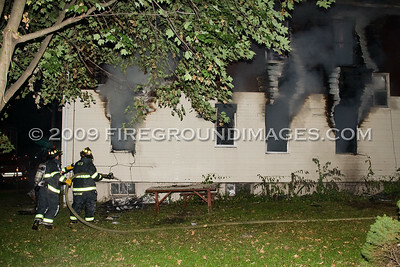 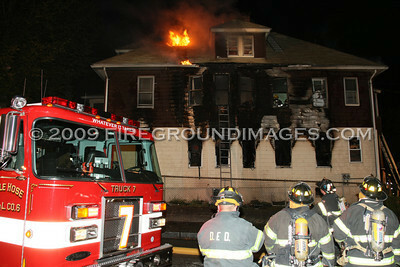 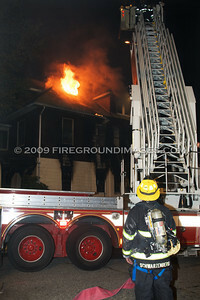 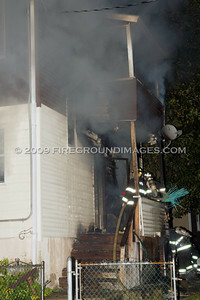 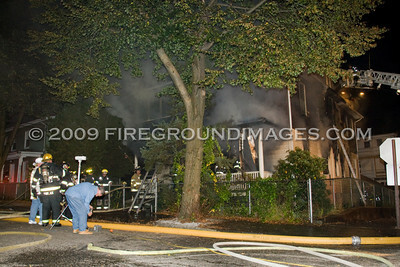 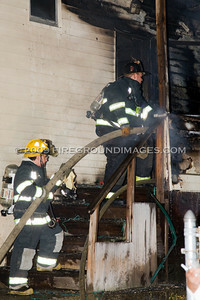 ANSONIA, CT – At approximately 6:52pm on October 2, 2009, the Ansonia Fire Department was dispatched to 16 Fifth Street for a working house fire with reports of people trapped. 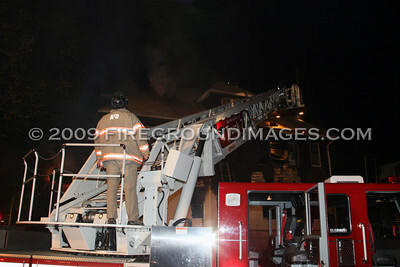 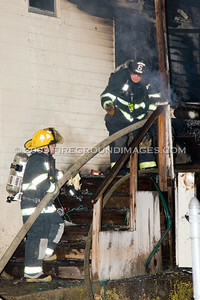 Ansonia police were first on scene reporting a working fire and removed a wheelchair-bound woman from the first floor. 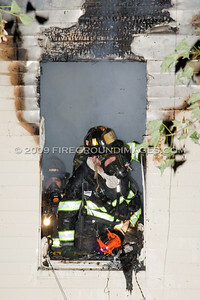 The fire had started in the rear, but quickly ran the length of the 1st floor, possibly due to an oxygen tank. When firefighters arrived on scene, they had fire showing from almost every window on the 1st floor, with rapid spread to the upper floors. 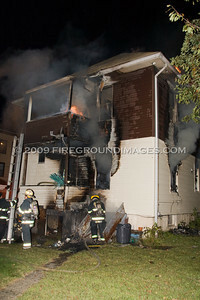 They made an aggressive attack and knocked most of the fire down on the 1st floor but were given the order to evacuate as the fire spread to the 2nd floor and attic. 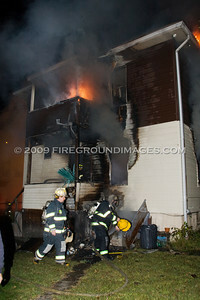 Unfortunately, one resident perished in this fire.